By Charles C. Ryrie. Models for church government, guidelines for evangelism and mission work, the challenge to triumphant faith in the face of opposition and persecution. softcover - 127 pages. Price includes standard shipping within the continental U.S. Please call for rates to other locations. By Leon Morris. 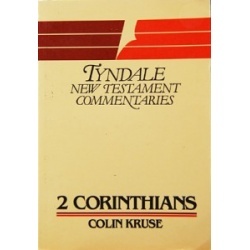 This commentary takes the book of I Corinthians section-by-section, drawing out its main themes. It also comments on individual verses and faces up to problems of interpretation. Additional notes give a fuller discussion of particular difficulties. 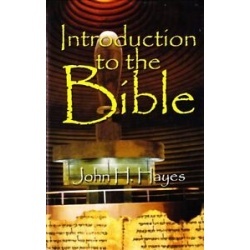 The aim throughout is to get at the true meaning of the text of the Bible and make its message plain. softcover - 244 pages. Price includes standard shipping within the continental U.S. Please call for rates to other locations. By F.F. Bruce. 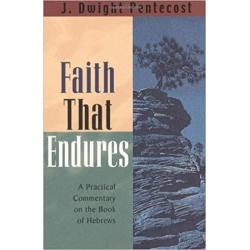 These commentaries on the Gospel of John and the Epistles of John deliver careful verse-by-verse exposition that will enrich the reader's understanding of the original text, its historical context, and its relevance for Christians today. hardcover - 585 pages. Price includes standard shipping within the continental U.S. Please call for rates to other locations. By Colin Kruse. 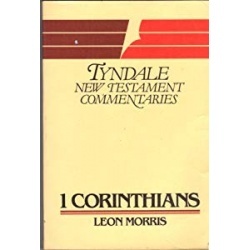 This commentary takes the book of II Corinthians section-by-section, drawing out its main themes. It also comments on individual verses and faces up to problems of interpretation. Additional notes give a fuller discussion of particular difficulties. The aim throughout is to get at the true meaning of the text of the Bible and make its message plain. softcover - 224 pages. Price includes standard shipping within the continental U.S. Please call for rates to other locations. By Erwin W. Lutzer. Understanding the claims of Christ in today's culture. 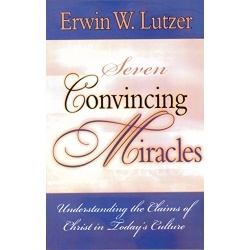 Dr. Lutzer anchors his findings in the Gospel of John, which details seven miracles of Jesus. 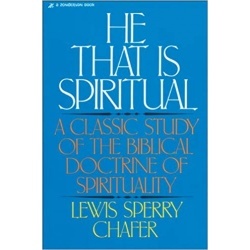 These vivid accounts compellingly persuade the skeptic- and each one of us, of God's existence and goodness. softcover - 189 pages. Price includes standard shipping within the continental U.S. Please call for rates to other locations. 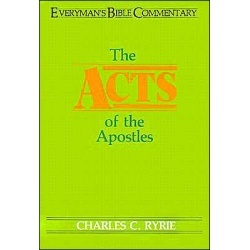 By Charles C. Ryrie. 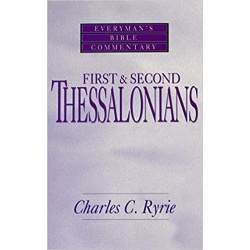 In this commentary on these epistles, Ryrie illuminates Paul's clear teaching for his strong but not infallible church in the powerful, sensual city of Thessalonica. He shows how the apostle had to defend himself and his conduct from charges of slander, and how Paul was pleased with his recent converts and their vibrant, durable faith. But despite Paul's favor, he wanted to clear up some misconceptions the young church had about the Second Coming of Christ. softcover - 136 pages. Price includes standard shipping within the continental U.S. Please call for rates to other locations.